The Crooked Road has published the Official Guide to the third annual Mountains of Music Homecoming. The Guide includes details on 25 Crooked Road concerts and over 100 cultural events taking place across Southwest Virginia during the nine days of the Homecoming, June 9-17. The Guide is rich with information helpful to travelers hoping to experience the wealth of traditional music The Crooked Road is known for, including jam sessions and concerts happening each day during the Homecoming. A handy map of the region is also included, complete with a table listing driving distances between every community in Southwest Virginia, similar to the state transportation map. 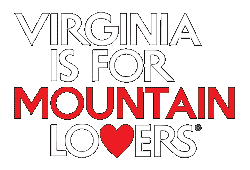 Original essays on Southwest Virginia history, craft, cuisine, outdoor recreation and, of course, music have been included by notable writers such as Sharyn McCrumb, Betsy White, Joe Tennis, Roddy Moore, Vaughan Webb, Jean Haskell, Katie Hoffman, and Ted Olson. The Guide also includes an article entitled “The Birth of The Crooked Road,” written by community developer Todd Christensen who co-founded The Crooked Road with folklorist Joe Wilson in 2003. Continuing a feature presented in last year’s Homecoming Guide is “How To Talk Like A Southwest Virginian,” a light-hearted look at colorful phrases that people in the region use in everyday speech. The feature from last year’s guide focused on how to correctly pronounce the names of some often-mispronounced town names in Southwest Virginia. That feature was widely shared on social media, reaching over 165,000 people on Facebook.